The 2015 U.S. Open tennis tournament was held from August 31 to September 13 in New York, United States. Novak Djokovic (from Serbia, image) beat Roger Federer (from Switzerland) to win the men’s singles title. This was Djokovic’s 2nd US Open win and 10th Grand Slam singles title win. 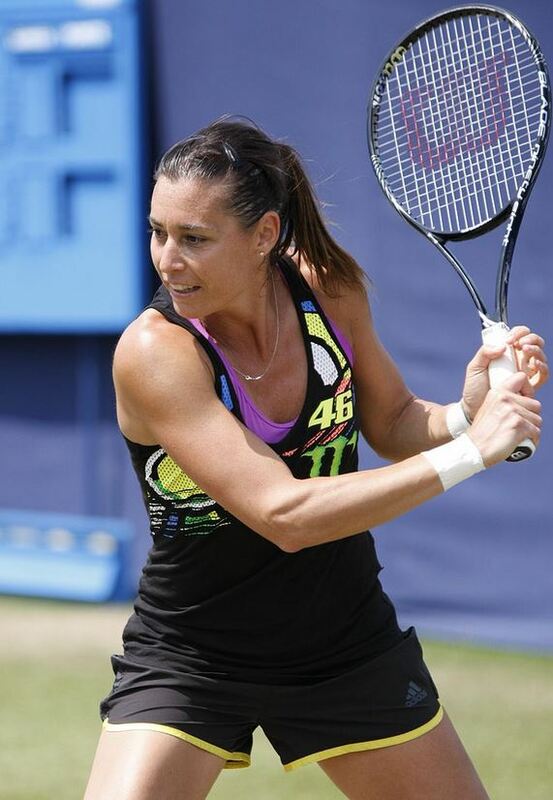 Flavia Pennetta (from Italy, image) beat Roberta Vinci (also from Italy) to win the women’s singles title making it her first Grand Slam title. The women’s doubles was won by Sania Mirza (from India) and Martina Hingis (from Switzerland). Nicolas Mahut (from France) and Pierre-Hugues Herbert (from France) won the men’s doubles. There were other winners as well. You can see the winners in the videohere. So what’s a Grand Slam title? You get a Grand Slam title by winning any of the four Grand Slam tournaments – the Australian Open, US Open, French Open, or Wimbledon. The US Open started in 1881 in Rhode Island, USA. The tournament is played on hard courts. Why is tennis a noisy game? Because each player raises a racket.